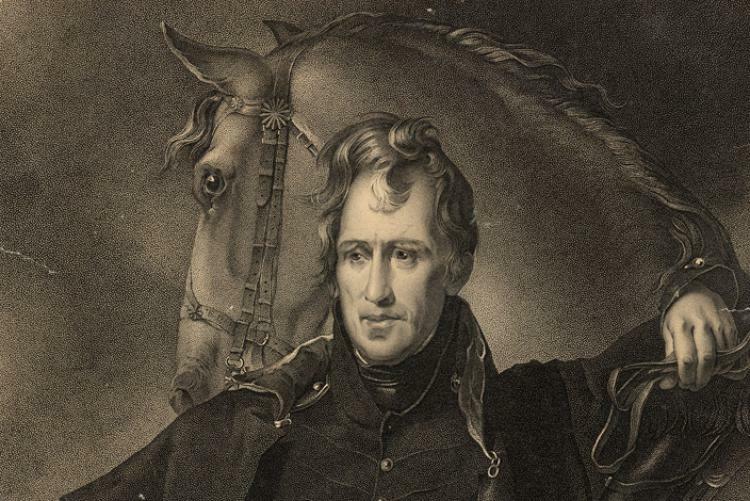 Major Livingston is depicted to the right of General Jackson under the flag. The Battle of New Orleans was one of the few highlights in the otherwise embarrassing War of 1812. It also created the legend of Andrew Jackson and led to his presidency and the entire “Age of Jackson.” By his side throughout the New Orleans campaign was one man who helped Jackson in matters military, civil, legal and in almost every other way. His future Secretary of State, Edward Livingston. Edward was the youngest child of Judge Robert R. Livingston and Margaret Beekman Livingston. He had been born in 1764, making him too young to join his older brothers in the American Revolution although he had spent some time at George Washington’s headquarters at the very end of the war, as a gentleman volunteer. who had been ordered to defend the city but who was still in Mobile, Alabama. On the surface, there is little to suggest that Edward and Jackson should become friends. They had probably met in the 1790’s when they both served in congress. The refined gentleman from the Hudson River Valley and the rough backwoodsman from Tennessee, but their differences seemed to compliment rather than clash. Perhaps too, they bonded over a mutual dislike of the British developed as boys during the American Revolution. Jackson had been captured while acting as an unofficial messenger and was slashed with a saber, leaving life-long scars on his hand and head. His mother and brothers had died of smallpox during the war. Edward had seen his home burned by the British and his brother-in-law, Richard Montgomery killed in battle. When Jackson arrived in New Orleans with his 1,000 American regulars Edward was among those there to greet him, translating Jackson’s arrival speech into French. Soon Edward had been made aide-de-camp with the unofficial rank of major. Edward’s young son Lewis, only about 16 years old, was made a captain and assistant engineer. One of Jackson’s first commands in New Orleans was to impose martial law on the city. He felt that many of the citizens might not offer their full support to the army without a little prodding. Edward warned him that the move might not be constitutional but supported Jackson. Later Jackson would be fined for this move and have a hard time shaking a reputation for tyrannical behavior. 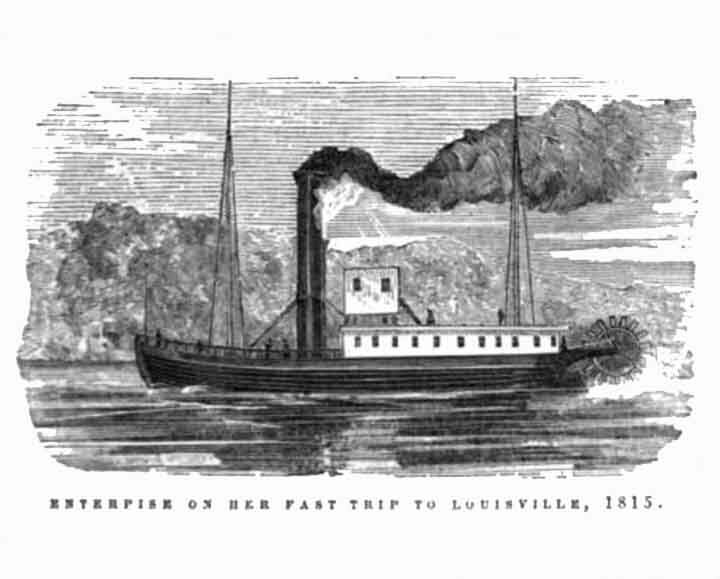 A steamship, Enterprise, arrived at New Orleans with military supplies. Under normal circumstances the ship would have been in violation of Edward’s brother’s monopoly on steam ships on the Mississippi but martial law as well as Robert’s death in 1813 made that impossible to enforce. Even with these supplies Jackson found himself desperately short of ammunition. 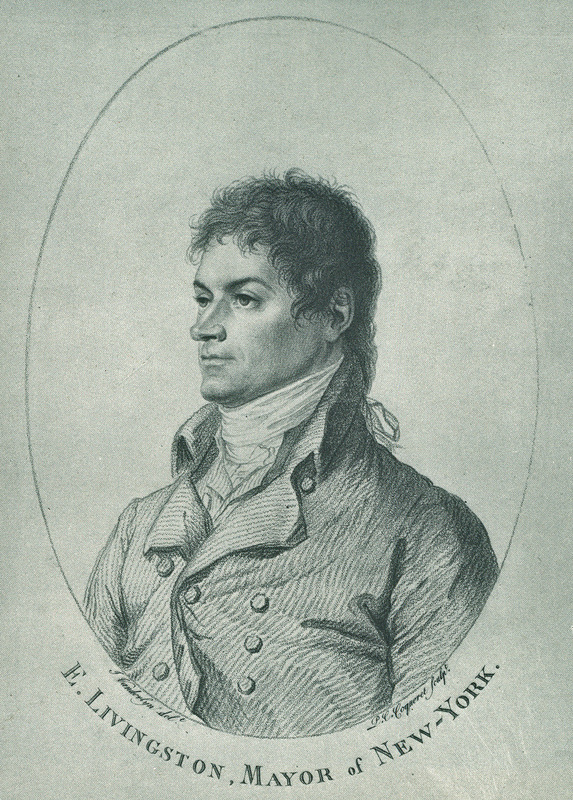 Livingston stepped in at this point again and helped to facilitate a deal between Jackson and his acquaintance and possible legal client, Jean Lafitte. Lafitte was the leader of the Baratarian pirates. He brought as many as 1,000 men to fight alongside the Americans as well as a seemingly endless supply of shot and gunpowder that he had preciously stocked in various hiding places in the bayous around New Orleans for his own piratical purposes. 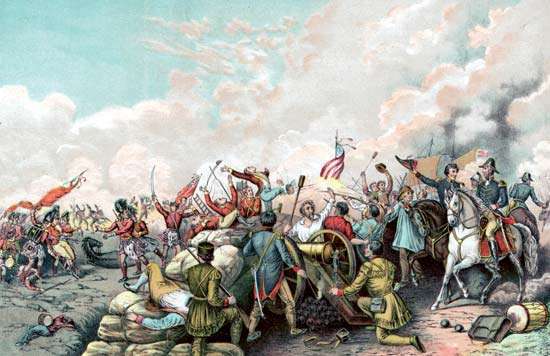 On December 23, 1814, the British began to land near New Orleans. It has been claimed that Jackson declared that the British would never sleep on American soil. He ordered a night attack. 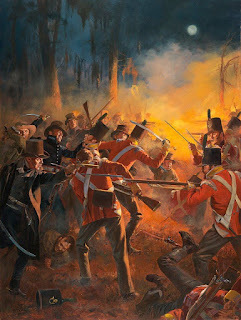 The fighting was intense, violent and bloody and devolved in to hand to hand fighting with bayonets, knives and hatchets. Edward was mounted on horseback during the battle relaying order from Jackson to other officers, under fire the whole time. 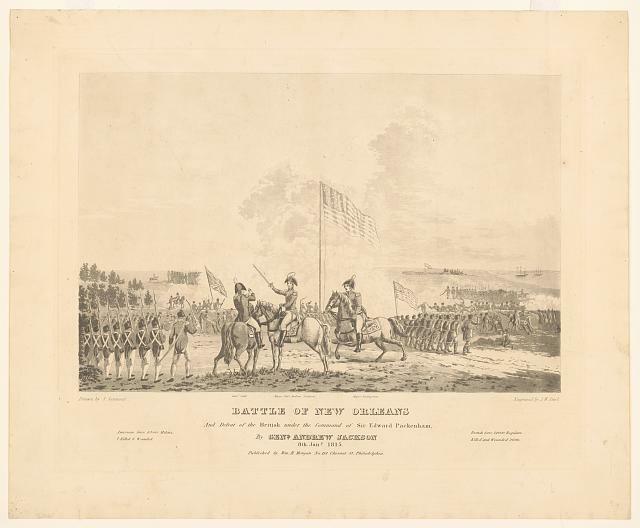 Jackson mentioned his bravery in his report on the battle at Villere’s Plantation. The Americans spent the next several days preparing a fortification along a canal where they would make their stand. Edward became convinced that he would die in battle, even going so far as to write a farewell letter to his older siste Janet Montgomery. On January 7, 1815, the American troops assembled in what would become known as Jackson Square in the French Quarter of New Orleans. Jackson and Livingston had written a speech to rally the men and surprisingly chose to let Edward deliver it. He appealed to the zeal of Americans whose fathers had defeated the British in the Revolution, to the French and Spanish who had a hereditary hatred of the British. He appealed to the militia, the uniformed men and to the battalions of black men who had been assembled for the defense of New Orleans. 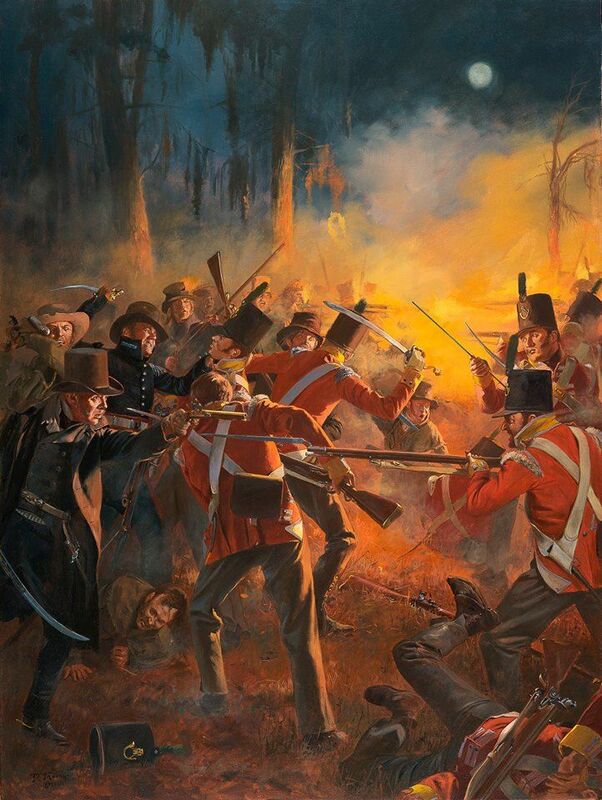 The final British assault began on January 8, 1815. The weeks between their landing and this attack had been filled with artillery duels and small scale attacks. The British army moved on Jackson’s line. Jackson, with Livingston at his side was on the line. The 44th Regiment of Foot, the 95th Rifles, men who had spent the last decade fighting Napoleon. They were stopped and mown down in front of the American Line. Sir Edward Pakenham, commander of the British army, was killed by rifle fire. Finally, the British retreated out of range of the American guns. Jackson was convinced not to follow them. The battlefield was covered in the bodies of fallen British soldiers. Almost miraculously as Jackson and other officers stood on the parapet surveying the battlefield nearly 500 of the bodies stood up. Many soldiers had simply lay down to avoid being killed and now found themselves prisoners of war. Edward was brevetted colonel and put in charge of the prisoners from the battlefield as well as those taken during the December 23 night attack. He headed down river to negotiate an exchange with the British only to find himself taken prisoner, despite much protesting, as the British attacked an American fort on Mobile Point to try to save face. He witnessed the surrender of the fort from a British ship. The next day, February 13, 1815, word arrived to the British that the Treaty of Ghent had been signed. Edward was released and returned to New Orleans. 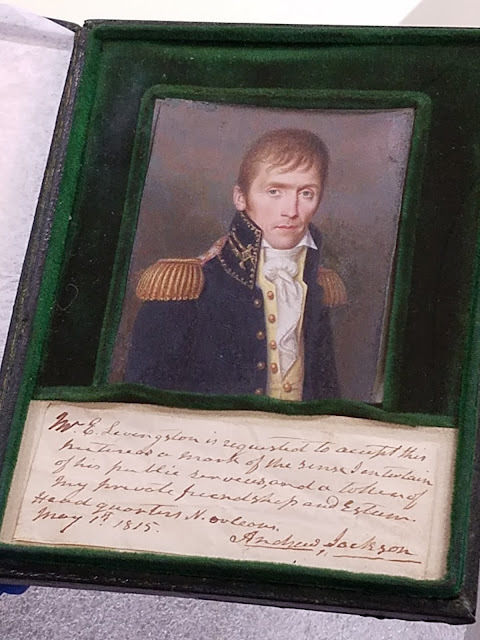 There Jackson presented him with a miniature of himself painted on ivory, along with a note of thanks for his services and friendship during the campaign. The miniature is now in the collection of Montgomery Place at Bard College. When Jackson was elected president, he made Edward his Secretary of State and later his minister to France. Following these services Edward retired to Montgomery Place, which his sister Janet Livingston Montgomery left him in her will, to live out his remaining years in the same valley he grew up in finally at peace.